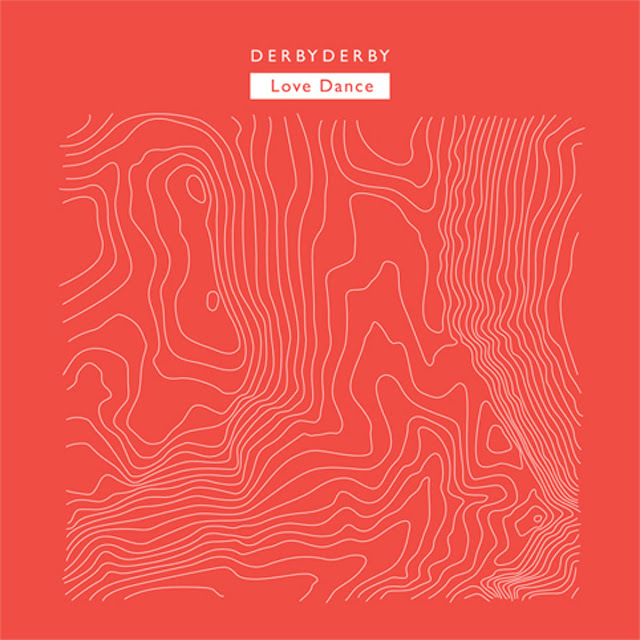 Derby Derby's debut album was recorded in Nantes last fall and entitled ¨Love Dance", a touch of humour for this unique track over 30 minutes long cut into two parts: “Love" slow and progressive and "Dance" rhythmic, charged and explosive. The 3 musicians met in spring 2016 to question themselves about time and space. Derby derby will release his debut album in February and has performed about 15 shows this year (festival Le Lac, Rendez Vous de l'Erdre, Lieu Unique...). full sound), comfy( or snug:douillet) and rough. Derby Derby rushes into a circular and earthly dance (ou trance). 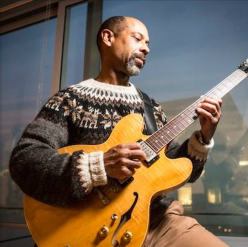 This recording by Baron Tymas is inspired by the warm-hearted city of Montréal, with some of the most superb jazz musicians associated with it today: vocalist Jeri Brown, trumpeter Charles Ellison, pianist Josh Rager, bassist Sage Reynolds and drummer Jim Doxas. The project represents part of Baron’s experience as a Fulbright Fellow at Concordia University in Montréal in late 2015. During that time, he wrote most of the music here, based on the sights, sounds and people of the city. The songs reflect travel on the metro and bus lines, the beautiful weather of an unusually warm fall, the incredible food of the place, the harmonious and generally celebratory ambience of that multicultural city and the styles and musical personas of the players on the recording. A few of the tunes were written for and in other places--such as Durham, NC, where Baron lives—and the beautiful island of Virgin Gorda. It took my a little while to realise the background images on the album were of a radio telescope, so I returned to listening with a slightly different outlook. 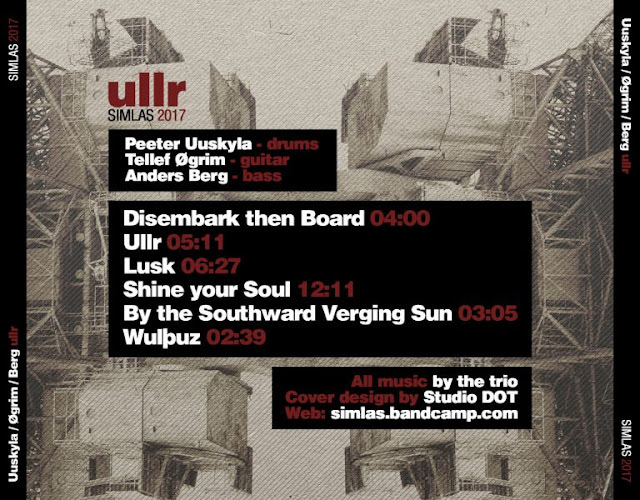 It is plain from the outset Peeter Uuskyla is an accomplished drummer and provides a driving force from the outset with the track “Disembark then Board”. 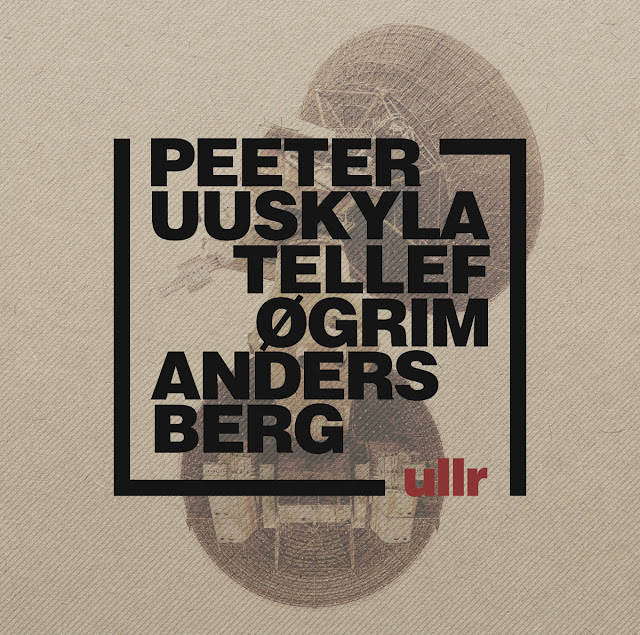 The second, and title, track “Ullr” features some prominent bass work from Anders Berg. The third track “Lusk” is a little more laid back after the onslaught of the first two tracks, very introspective, perhaps like the operator of the radio telescope waiting to hear something significant. “Shine Your Soul” (the only track featuring fretless guitar) is very sparse with hand claps and drumsticks on rims along with brush sounds, it progresses well, leaving you wondering where we are travelling, eventually the drums drive the whole thing to conclusion. 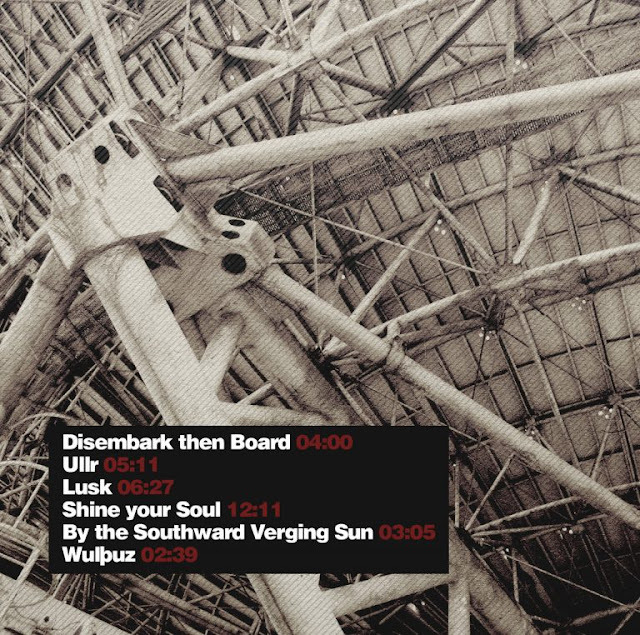 “By the Southward Verging Sun” is perhaps the most conventional track on the album, followed by “Wulƥuz” packed full of noises making you wonder just how far out these guys can go. Nothing appears double tracked so I think the trio would have no problem playing this album to a live audience, looking forward to hearing them soon. A western Canadian jazz icon, Al recently came to wider prominence in North America with the release of his debut album Its About Time. Now at the age of 81 years old, Al is making up for lost time with his third release in just two years. 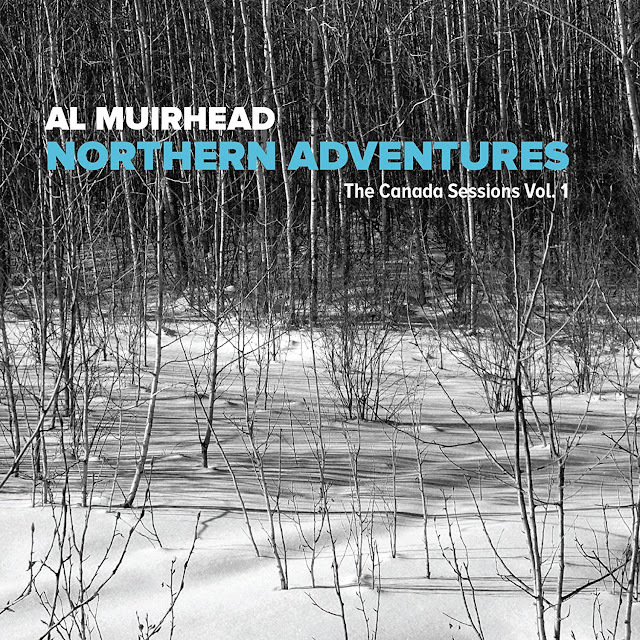 Nominated trumpeter Al Muirhead’s most ambitious project to date, Northern Adventures - The Canada Sessions Vol. 1 is a collection of standards pairing him with many of Canadas jazz greats! 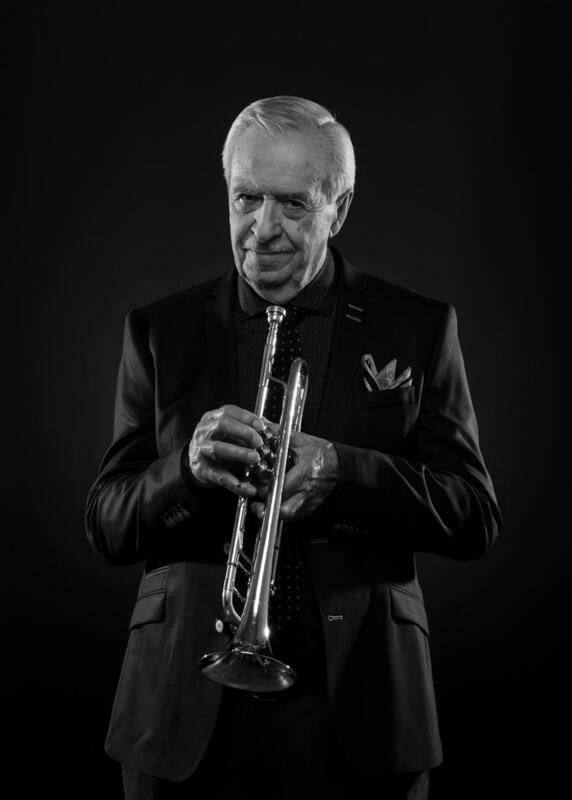 Featuring five different small ensembles of both old friends and new, Al harkens back to his youth, calling standards from the great American songbook live in the studio. Northern Adventures features jazz performed with spontaneity and joy, and with a command of the music that only players of the caliber of Al and his guests can. “Love Me Or Leave Me” became the title of a 1955 film “Makin' Whoopee” a jazz standard and a huge hit for Billie Holiday. Guido Basso on flugelhorn is reminiscent of Kay Winding and J.J. Johnson trombone styles while guitar solos are played effortlessly in synch with smooth piano. “They Can’t Take That Away From Me”, the George and Ira Gershwin song, was made famous by Fred Astaire in the 1937 film Shall We Dance, and recorded by Frank Sinatra, Rod Stewart and many others. Proof that a good song is a good song and can withstand the test of time. 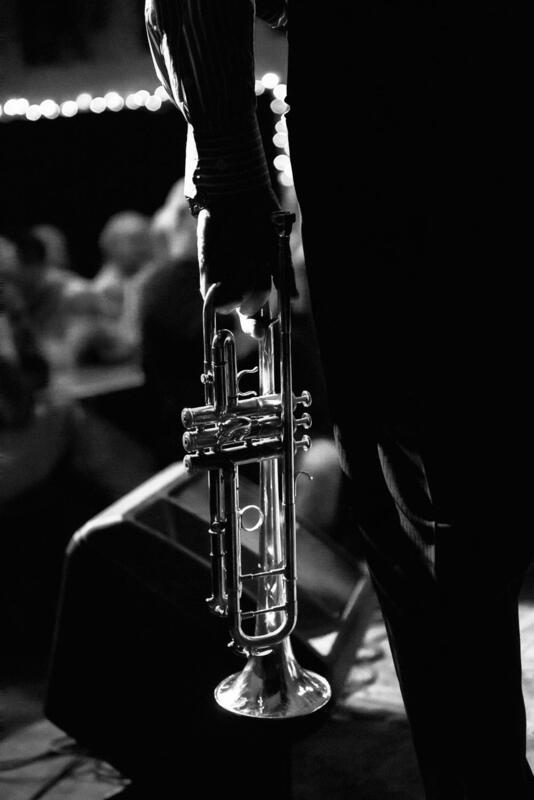 Muirhead’s offering is a classic 60’s style of trumpet, a trait well known in that era of jazz standards. The 1932 Cole Porter song “Night and Day” has a steamy, sensual vocal by Laila Biali, and the piano arrangement adds a new feel to a classic song with its walking chords and syncopated rhythms. “I’ve Never Been In Love Again” a Frank Loesser composition published in 1950, and made famous in the musical Guys and Dolls, has smooth interaction between the flugelhorn and sax, giving the song that great classic jazz sound. “Come Rain Or Come Shine” is another jazz standard song written by Harold Arlen and Johnny Mercer written for the musical St. Louis Woman in 1946, capturing the unique combo sounds reminiscent of the Dave Brubeck era. "Emily" another popular song penned by Johnny Mandel and Johnny Mercer and was the title song to the 1964 film The Americanization of Emily. (The song wasn't sung in the movie, which is the reason that it couldn't be nominated for an Academy Award.) It has since been recorded by numerous artists, notably Bill Evans and Tony Bennett. Muirhead’s offering is particularly sweet and romantic, playing it effortlessly with trumpet and piano. "Softly, as in a Morning Sunrise" is a song with music by Sigmund Romberg and Oscar Hammerstein II from the operetta The New Moon. More of a smooth, up tempo jazz tune, interspersed with tasteful guitar arrangements and improvised trumpet leads brings this classic song from 1928 up to today’s standards. "The Nearness of You" is a popular song written in 1938 by Hoagy Carmichael, with lyrics by Ned Washington. The song was performed in the Paramount film Romance in the Dark (1938). Listening to this vocal offering makes you feel like you are listening to a torch singer, surrounded by low lights in a smoke-filled room. “Insensitive” jazz standard composed by Antônio Carlos Jobim and this version is a light up tempo bossa nova that lets your mind wander to a club in the Caribbean, and enjoying a night with great music and your favourite beverage. “You’ll Never Know” is produced here as a relaxing version while the piano, trumpet and flugelhorn really capture the true essence of this all time favorite made famous by Vera Lynn in 1943. “All The Things You Are” another Ella Fitzgerald song, shows off all the musicians’ improvisational styles, with the ‘back and forth’ point counterpoint. A truly great production value. The last song on the CD wraps it all together with “Nice Work If You Can Get It” written by George and Ira Gershwin, for the movie A Damsel in Distress, performed by Fred Astaire The song was published in 1937. Only the very best groups have the ability to mould their music and their environment into what seems like a single organism. This was something that struck me very powerfully while listening to Plaistow in Bremen’s Weserburg art museum during the 2016 Jazzahead festival. On the face of it, the room was not the most helpful in acoustic terms. Anyone trying to play conventional piano-trio jazz would soon have been overwhelmed by unwanted reverberation. But that’s not what Plaistow do. And, quite characteristically, Johann Bourquenez, Vincent Ruiz and Cyril Bondi had given the matter some thought in advance. Without compromising the substance or reducing the essence of their music, and without limiting their creative freedom to pursue a three-way conversation, they found an adaptation that both made the room seem like a perfect space for their music and allowed their fans to hear it from a new perspective. By contrast Amsterdam’s Bimhuis is a venue tailored in every respect to a band such as Plaistow. 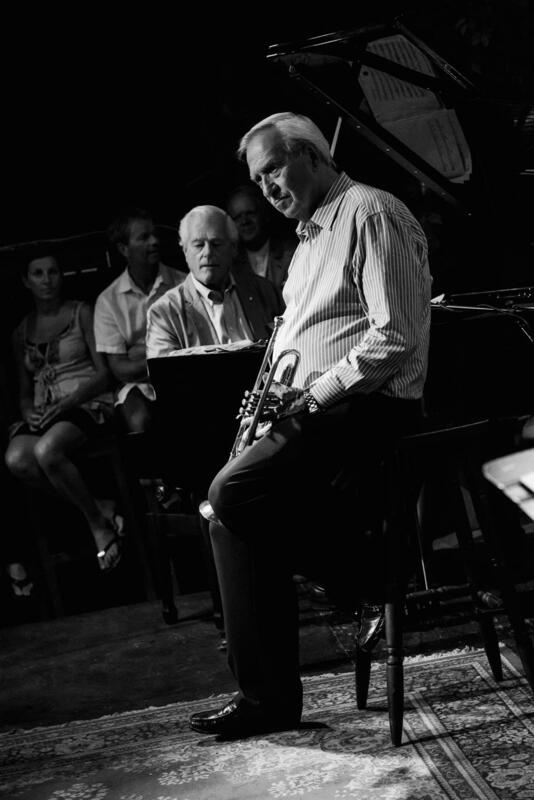 One of the world’s best jazz clubs, it allows the musicians to worry about nothing other than their music. Clarity is guaranteed, along with an open-minded audience. 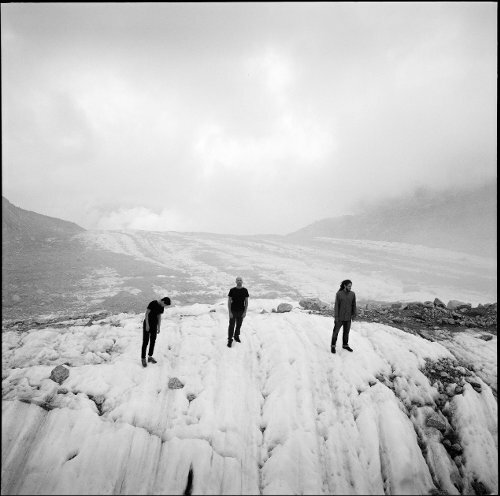 This new album, their fifth since the group came together in its original form in Geneva in 2007, is their first to be recorded outside the studio, maintaining their approach to the pursuit of grooves that satisfy the mind and the body in full measure. A group whose members take it for granted that each individual operates on an equal creative level, Plaistow – who took their name, which is that of a district of London, from a track on a Squarepusher LP – are among the most compelling of the many piano trios to have sprung up in the wake of Brad Mehldau, Esbjörn Svensson and the Necks. More than 300 concerts on tour in Europe, Russia, Japan and India have allowed them to develop an authentic and even stubborn individuality, using inspiration from many sources but focusing all their influences (including certain elements of jazz and minimalism) down to a clearly defined identity, one that is, in Duke Ellington’s phrase, beyond category. 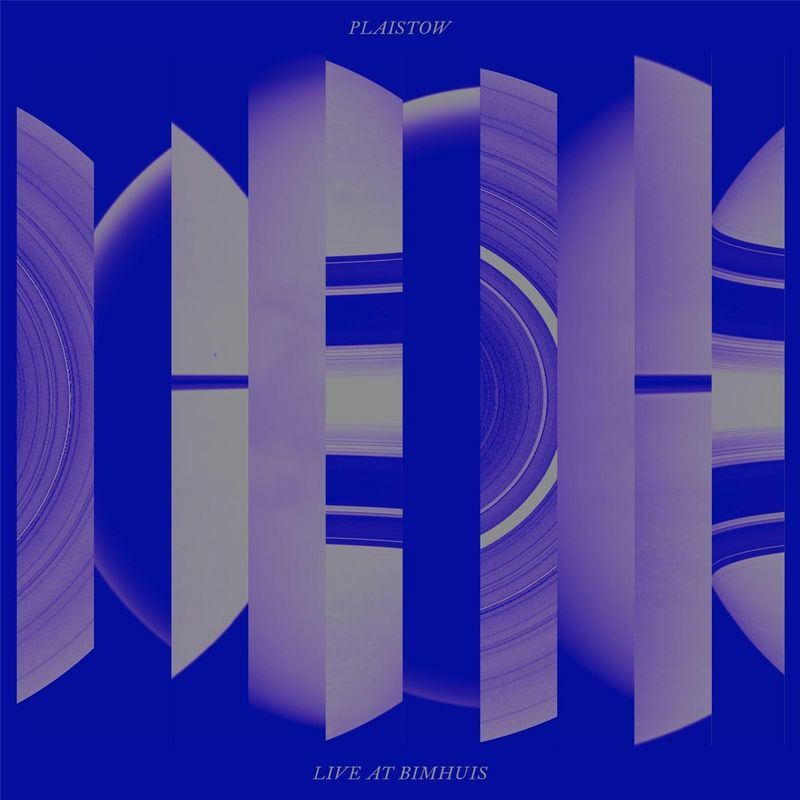 All compositions by Plaistow, from album "Titan"
‘Hydraulics’ opens the CD with a strong, stomping drums and bass conversation into which the sax of Mike Casey inserts itself almost rudely but also exquisitely. Mike has that loose-reeded methodology which is at once laid back yet intense and his expression is rich and deeply textured. ‘Hydraulics’ , penned by the trio’s percussionist, Corey Garcia, is the perfect vehicle for the way Casey plays with loud bursts contrasting with quiet little interludes, sometimes sounding like he is off in his own world of wonder and at others coming back to engage and react to the musicians who support his playing so well. ‘Turnaround’ is crazy – in a good way. This lifts and brings smiles a plenty with the quirky interaction between the musicians. Mike’s sax takes the role of the go-between, creating linking passages for the musicians who offer dissonant sounds, chirrups, twitters, tweaks and scrapes before Mike sets a theme, restoring order and taking the piece into a bluesy solo under which the bass sets up a contrapuntal rhythm which gets its own clap from the intrigued audience at this live recording. The piece is clever and varied. 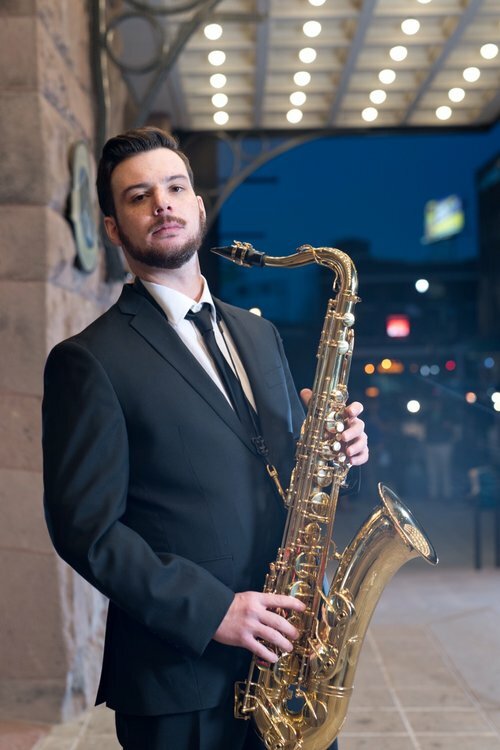 Theoretically, it should challenge the listener because there is off-beat rhythm, odd inserts in the introduction and an eclectic gathering of subtleties, introduced by the individuals and yet it is so easy to listen to because it is held together both by the sax overplaying and the wonderful, strong bass lines imposed by Matt Dwonszyk. The sax introduces insistent themes this works to create harmony and colour. Excellent. 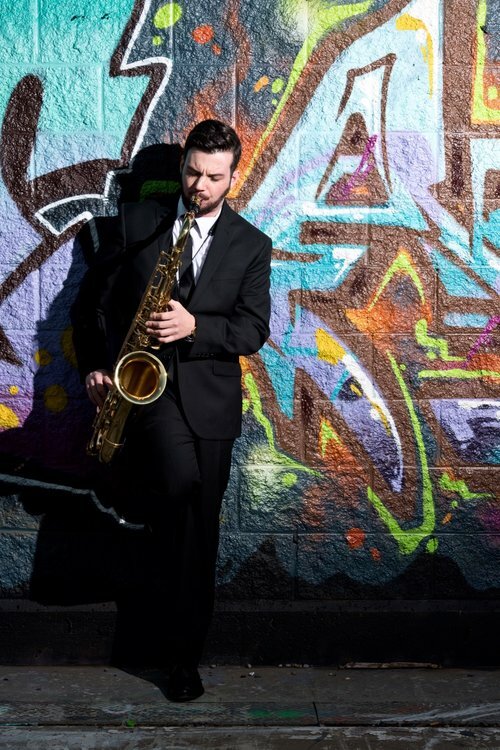 Casey’s self penned ‘Dagobah’ develops from a quiet and gentle introduction into a classy number with Casey’s strong, boppy sax overflowing with intonation and he shapes the piece like a potter at the wheel. 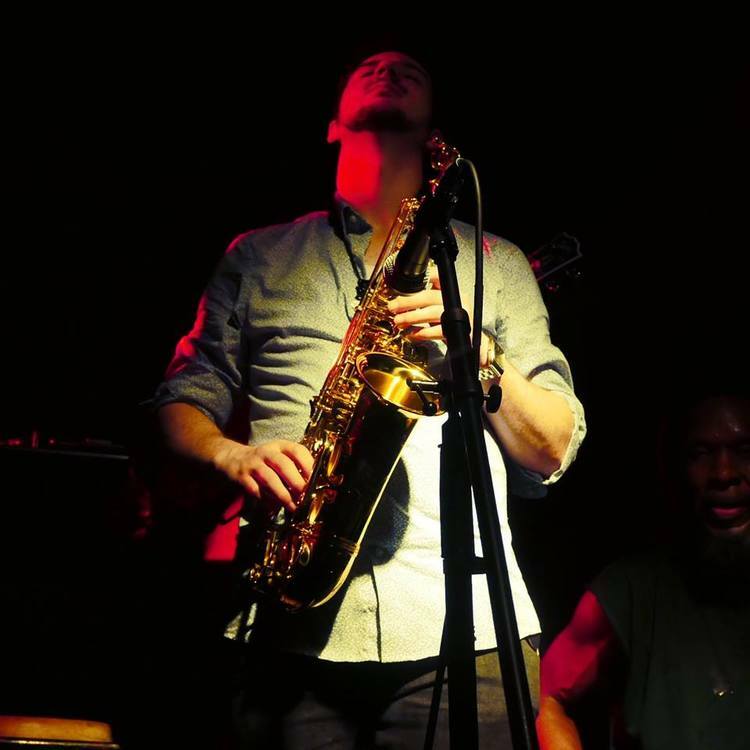 Under the sax playing is a racy rhythm, almost impetuous at times, serving to emphasise the fluidity of Casey’s sax work with its off-beats and sheer cheek. 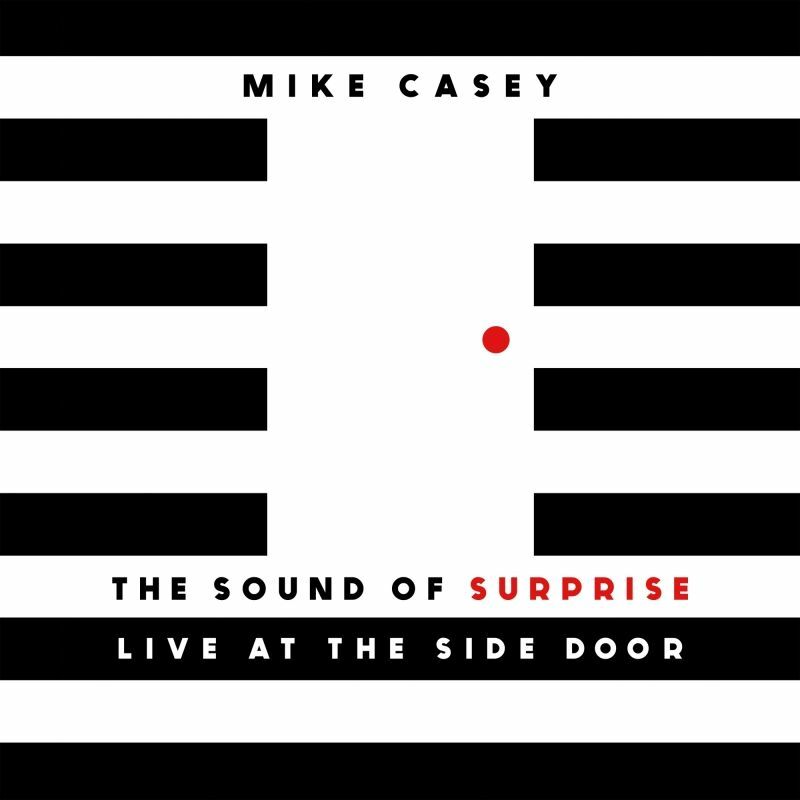 Casey works the theme to include a change of emphasis which leads to an Eastern feel before a section with just the percussion of Corey Garcia before the bass and then the sax join him, the theme being developed once more. ’Heartbreak’ is a delicious number, set over a continual bass line. The sax flows up and down, pitching, rolling and generally painting colours with the tone and expression. Mike does his ‘set a theme and then change it’ thing- which is something of a trademark I am coming to understand and the whole thing chops and changes, first fast, then slow,slow,slow and then a change of pace before the theme alters again. And again, the band do that thing where on paper this should make listening difficult, it is not, it is absolutely fine and easy on the ear because the changes are slick and picked up so easily by the musicians and shared with the listener. The whole structure flows easily from one change to another glorious. The electric connections between the trio is very apparent and infectious. I am betting live ( as this was recorded) is very much an interactive experience with this trio. Kurt Weill and Bertolt Brecht’s ‘Mack The Knife’ is given the trio’s special treatment with some ludicrous soloing from Casey over the pounding, driving rhythm working around the theme, away, back and then straight – a really good interpretation and inclusive of some terrific bass and percussion background work along with solo bass and percussion. Casey soars in this familiar number, recreating the genius of the number but with his own incipient twists. ‘Miles Mode’ is well, modal, with some great scale changes and use of tones from all the musicians, each adding their own take on the theme. One section centres around a bass solo, this piece reflects a different style from the trio and one which suits them. The trio make this their own whilst retaining the respect due to Coltrane’s original and the drum solo is delivered with aplomb from Corey Garcia. Jackie Mclean’s ‘ ‘Little Melonae’ brings the CD to a close and is a track filled with delights in all kinds of ways, from the intricate , delicate sax work to the impressive drums and keyboards. This album, as with most live recordings, has a certain feel, an atmosphere to it reflected often by the responsive audience but also down to the interaction and communication which emanates from the players. 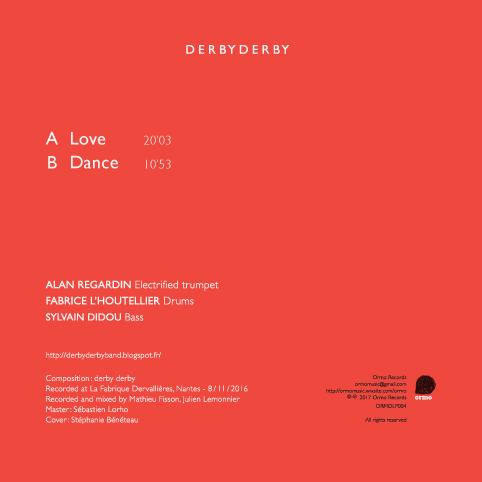 Enjoyable form first to last note, this trio certainly take the chordless saxophone trio format to a new level. 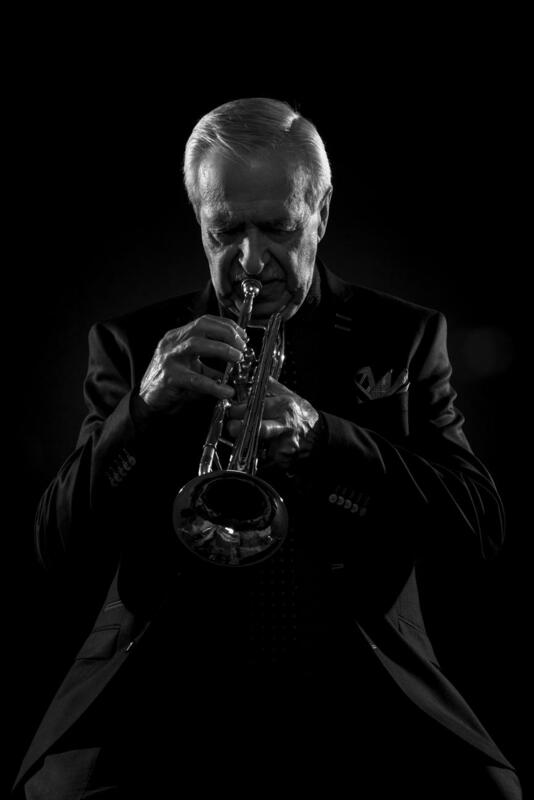 Mike Casey has been a fixture on the jazz scene and sold out the legendary Minton’s , NYC in 2016. This is impressive jazz. The single,’ Hydraulics’ is out in February. On his influences Casey comments, ”I’ll never forget hearing Sonny Rollins for the first time in middle school. His sound, melody, the rhythm, hearing every idea connect so clearly in dozens of ways. Then I came across ‘Freedom Suite’ and my concept and goals changed drastically. I was inspired and challenged. The search was on. I wanted to see how much I could do without chords, instead focusing on rhythm and melody above all,” On the title, he says, “One of the musical concepts I love the most is the sound of surprise. We love to surprise our audiences and each other! 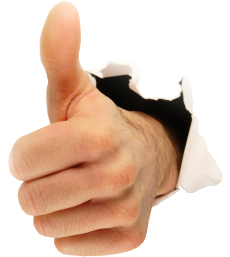 We find that we create the best music when we reach beyond what we think we can do.” Well, I have to add a caveat this trio surprise in all the right ways, their music is sound, solid, has great references and yet is very strongly unique. A great CD and really good jazz music. Simples. Every jazz fan has his or her favorite record with NEA Jazz Master Jimmy Cobb on drums, from Miles Davis’ Kind of Blue to John Coltrane’s Giant Steps. We’ve been honored to host several of Cobb’s recent birthday parties at Dizzy’s Club Coca-Cola, and tonight he joins us again in celebration of his 88th! 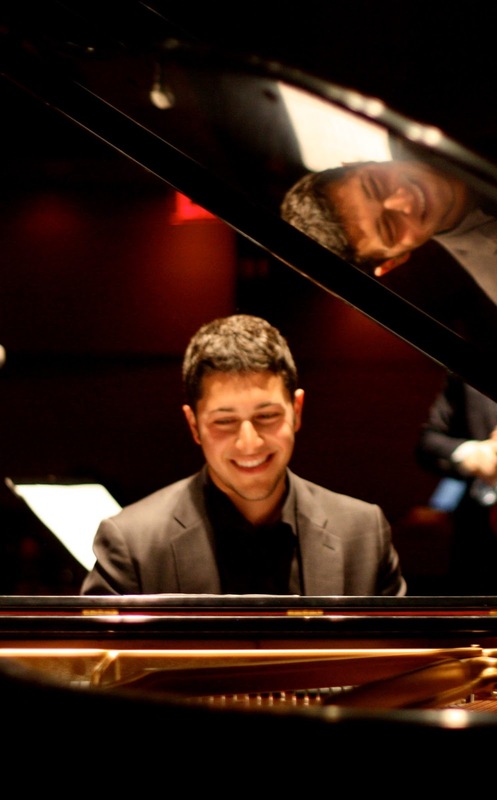 Leading the quartet is pianist Emmet Cohen, one of New York’s rising jazz stars. 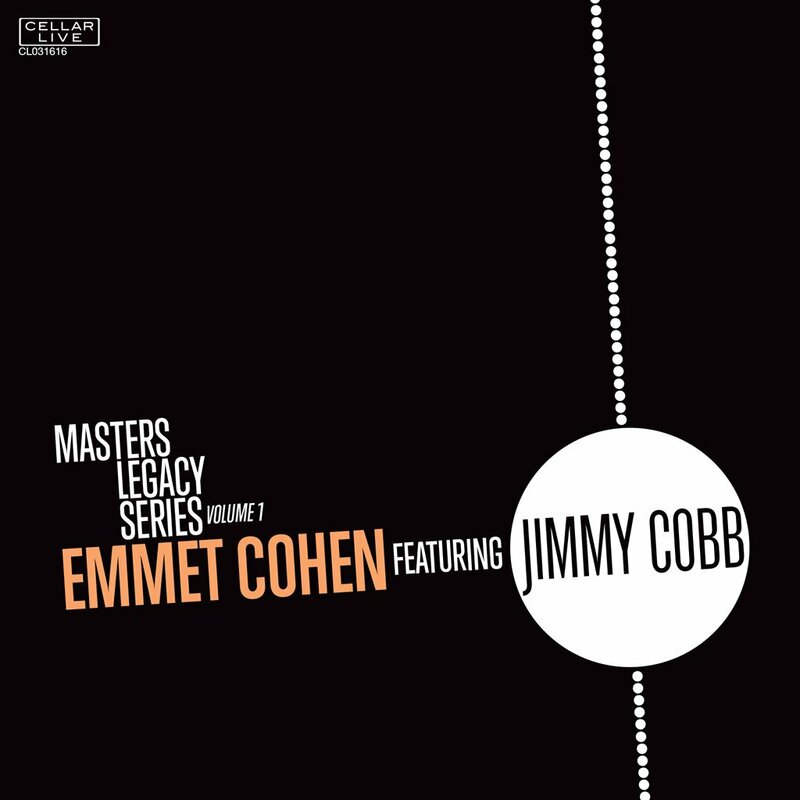 Cohen recently recorded the first record of what will become a Masters Legacy album series, and Cobb was the featured “master” on this inaugural record. Tonight’s performance will be the official record release show, adding to the excitement of Cobb’s birthday celebration. 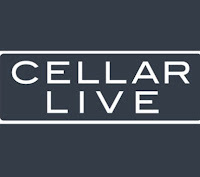 The repertoire includes classics that Cobb recorded with Miles Davis, Joe Henderson, Wynton Kelly, Cannonball Adderley, and David Fathead Newman, as well as originals by Cohen. 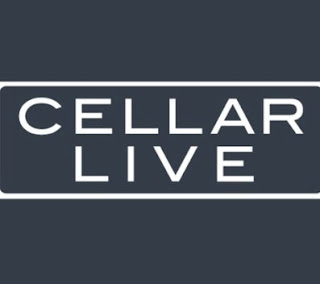 As Christian McBride says in the album’s liner notes, “Jimmy Cobb embodies the sustained, indomitable power of the swing groove,” and this performance will demonstrate why Cobb remains such an in-demand and widely imitated artist. 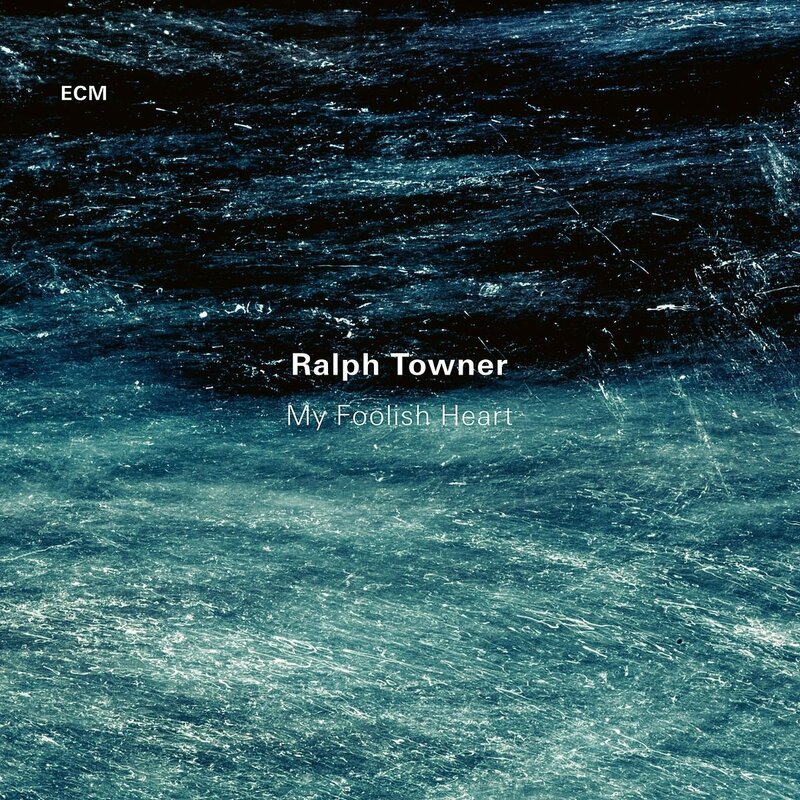 After critically-lauded projects with trumpeter Paolo Fresu (Chiaroscuro) and with fellow guitarists Wolfgang Muthspiel and Slava Grigoryan (Travel Guide), Ralph Towner returns to solo guitar for My Foolish Heart. 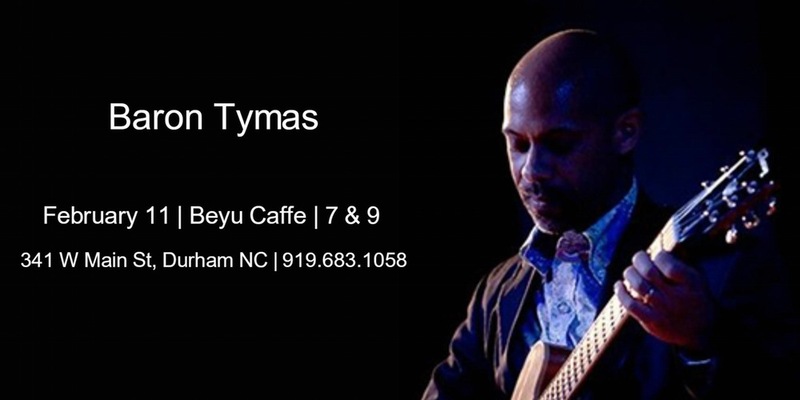 Whether on classical guitar or 12-string guitar Towner’s touch is immediately identifiable. Solo music is an important thread through his rich discography and this new album – recorded at Lugano’s Auditorio Stelio Molo RSI in February 2016 and produced by Manfred Eicher – follows in the great tradition of Diary, Solo Concert, Ana, Anthem, and Time Line. 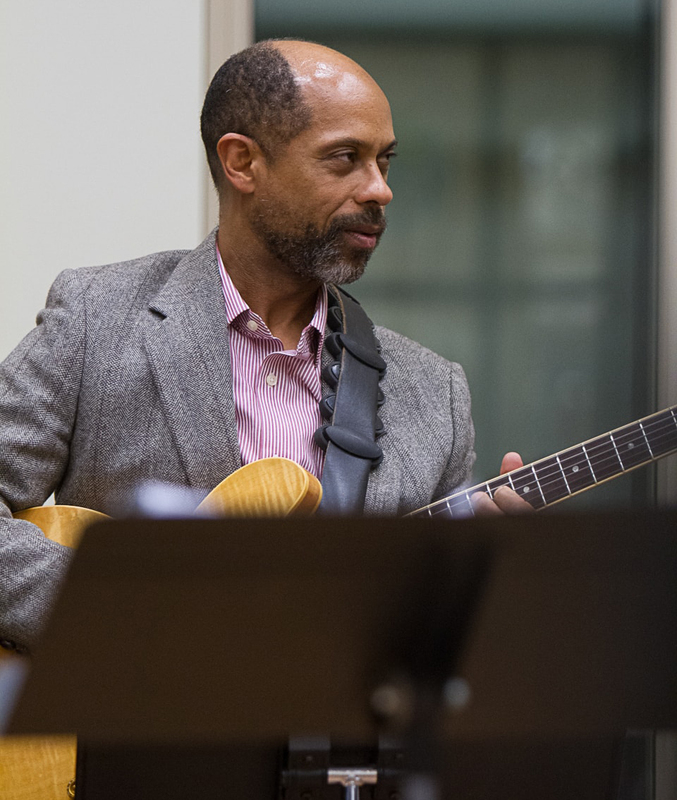 It features finely-honed new compositions as well as a pair of tunes (“Shard” and “Rewind”) from the songbook of Oregon, a dedication to the late Paul Bley (“Blue As In Bley”) and a single standard – Victor Young’s “My Foolish Heart” which Towner first came to love in Bill Evans’s interpretation.